Excuse me, sir, who gave you the permission to look this HOT!?! Cha Ji Won comes from a rich family but he joined the navy to escape from the pampered lifestyle. His carefree attitude is reflected in his fashion sense. You wouldn’t know he came from a wealthy family based on his casual style. It’s clear he doesn’t put too much thinking into his clothes, but he still ends up looking handsome because he is just that cute. After Cha Ji Won leaves her, she starts learning how to read and write and takes on a new job being a news reporter. Although she still gets corrected for her writing, she doesn’t give up. She also moves in with Kim Ji Ryoon’s mother in a high end district. We see Khaya’s transition reflected in her fashion. She starts out wearing tropical vacation attire (t shirts and loose boyfriend jeans) to business casual attire (trench coats, scarf). As a reporter, her outfit still leans toward casual to fit the fast moving aspect of the job. In the very beginning of the interview, the MC asks everyone to start a 'compliment relay,' starting with Lee Jin Wook and moving down the row. 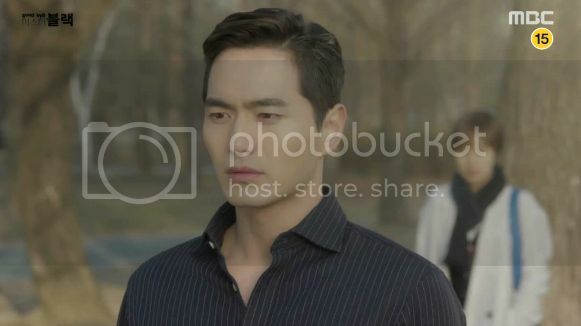 Moon Chae Won, who was the person sitting right next to Lee Jin Wook, was complimented by the actor as being "full of life," while Moon Chae Won complimented Kim Kang Woo as possessing a "quiet charisma." and here in the press conference they just were praising and giving each other a big round of applause. "(Working with Moon Chae Won) has been great. Looking at her makes me happy. She's a lovely woman. Our characters have a sizeable age gap, so I try to protect her character like an older brother would. Working with her, though, naturally makes me want to protect her and look after her." ROFL THE CARTOON HAS KILLED ME !! hahhaha so funny !! Really likes this OTP MCW and LJW. I ship them and hope they date in real life also. There's lots of opinions about her haircut out there, aren't there? Well, I'm not watching, but I think I like it. I just heard that the other day, I had no idea it was such a brouhaha! I mentioned to someone how cute I thought it was, and how well it suits her. I think this is much more flattering than previous looks, in fact. I've thought her rather plain before and now she looks adorable. 1. [+1,352, -60] 1 hour felt like 1 minute.. Mr. Black is very fun! 4. [+835, -38] Lee Jin Wook is too cool..
9. [+195, -2] When will Swan and Black get together? Lead actor Lee Jin Wook commented, "Our drama isn't about soldiers. Rather, my character is a former soldier. It's hard to point out distinct differences between us because there aren't many scenes where I I'm an on-screen soldier, but the clear ..